I’m Amanda Ree, certified Vedic Educator in Ayurveda, meditation, and yoga, and canine expert. I’ve created Total Wellbeing for Dog, my signature 6-week online course, to help you experience new levels of emotional and physical wellbeing and health for yourself and your dog. The tools in this course are new, but are based on an ancient healing system called Ayurveda. These principles have been helping their practitioners maximize health for over 5,000 years. Before applying the principles of Ayurveda to my dog, I struggled for years to relieve my poodle mix Maya from severe and debilitating skin issues. I was dismayed that my only options were prescription medicines which helped relieve some symptoms, at best. Maya was declining rapidly and it pained me to witness. Being a practitioner and teacher of natural wellness (specialized in Ayurveda) for almost 20 years, I understand the body’s natural ability to restore itself to health and balance, given the right environment and opportunity. In desperation, I decided to try applying the fundamental healing principles of Ayurveda to every aspect of Maya’s life. Within just a few weeks, I noticed significant improvement. A few months later, there were major changes. And within a few years, Maya was an entirely different dog. Friends from the past still come over and ask, “Where’s Maya?” when she’s right in front of them! So was born my passion for sharing this healing path with other devoted dog parents, some of who may feel similar struggles, or know there must be a better way. Just as with our own healthcare, we can become our dogs best healer. I’m happy to share this is the only course of its kind in the entire world, and my sincere hope is that it touches and improves the lives of countless dogs and humans around the world. I look forward to welcoming you and your dog into our community! Amanda Ree is a certified meditation teacher, 500-hr yoga Hatha instructor and Ayurvedic health practitioner since 2001. Her spiritual studies started at the Sivananda Yoga Vedanta Centers and in 2006 she began working and studying closely under Dr. Deepak Chopra. As a lead educator, event host/emcee and leadership team member at the Chopra Center for Wellbeing, Amanda has had the great fortune to learn from many of the world’s leaders and top experts in health and wellbeing. Amanda was born with an innate soul-connection to animals, and this bond was deepened at three years old when she was saved from drowning in her backyard pool by the family dog. At age ten, Amanda persuaded her family to purchase the neighborhood pet store in Lake Tahoe, California, where she served as the smallest yet most knowledgeable employee. Conscious living and her passion for dogs merged in 2013 when she founded a dog rescue organization, SoulPlayMates. It was here that Amanda started to apply the timeless wisdom of Ayurveda to the foster dogs she cared for. Witnessing a rapid positive impact, she was inspired to share this knowledge with even more people through workshops, classes, private consultations and online education. 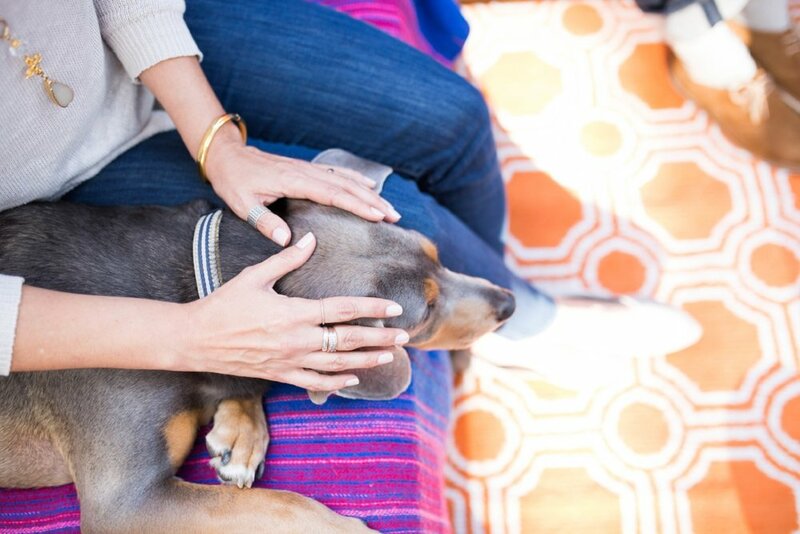 Sama Dog :: Wellbeing for Dogs + Their Humans was born from a desire to help guide dogs and their humans into a blissful state of balance, or “Sama”, through teaching holistic care for loved dogs inspired by Ayurveda. This course will be held again in Fall 2019. Enrollment info will be available this summer. Please add your name on our INTEREST LIST BELOW to be informed when registration is open! This class series is based on the Sama Dog core or signature teachings which we call the Sama Dog 6 Pillars of Balance. By learning and following these natural healing principles, you'll be well-informed about how to overcome common health and behavior challenges and provide the very best care possible for your dog. All while enjoying the most powerful heart-centered bond imaginable. Weekly live online sessions (via Zoom) via audio and video, taught LIVE by Amanda with guest educator appearances. Katie Kangas, DVM, CVA, CVCP - Holistic Veterinarian and founder of Integrative Veterinary Care in San Diego, CA. Dr. Kangas’ specialty is using "food as medicine" to promote natural healing. Nedra Abramson - Seasoned Holistic Practitioner for animals & founder of Acupressure for All Creatures. Nedra specializes in aromatherapy, acupressure, massage, and reiki. Joan Ranquet - Animal communicator, TEDx speaker, Hay House author, and educator. Joan has connected with animals professionally for over 25 years. Founder of Communication With All Live University. Kathleen Prasad - Internationally known for her pioneering work in the field of animal Reiki, including several books on the topic. Founder of Animal Reiki Source & Shelter Animal Reiki Assoc. * Amanda & guests teach each session live, with audio and video. Recordings are provided after each class. What Do Previous Attendees Say About The Course? "This Course was useful for anyone wanting to learn alternative ways of understanding and deepening the bond with their pet. 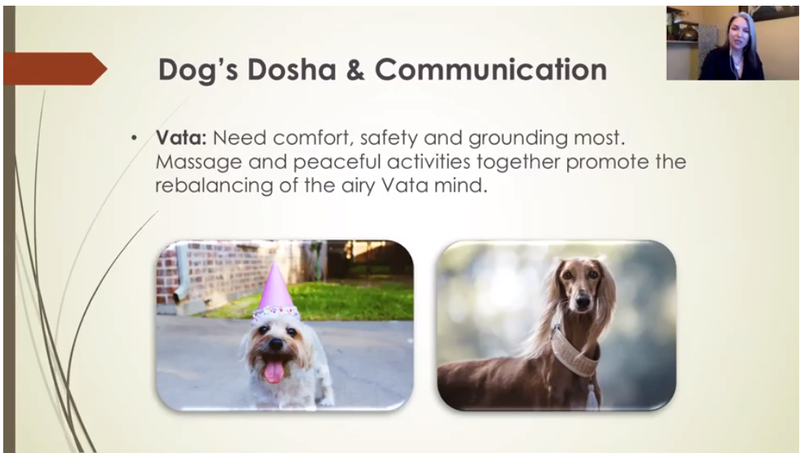 You not only learn about your pets Dosha, but how it all links with nutrition, behavior, communication and the health and well being of your fur baby. Amanda immediately creates a space of loving intention and holds your attention throughout, you will laugh, cry, and most of all find a deeper meaning of bonding with your dog." "The Wellbeing for Dogs course exceeded my expectations. It was truly well done and I enjoyed participating in this type of educational opportunity. It opened my heart and lit up my soul. From one dog/animal lover to another…there was so much valuable information that helps give me a better understanding and connection to my beloved Tori. The special guest speakers were also amazing and enlightening." "Total Wellbeing for Dogs helped me connect with my foster pup on a deeper level. It went beyond the basics of pet care and tapped into how to understand each dog as an individual. Amanda explained in detail how to encourage greater health and wellbeing not for all dogs, but for my dog. She also helped me eliminate the issues of trust and fear that little Scarlett was having. " <<< Video: Tony B., Pandora and Stella share their online course experience! DOES THIS INFORMATION APPLY TO CATS? WILL IT HELP ME WITH MINE? Yes, the information you learn and the concepts shared in this class series do relate to both dogs and cats, and most other animals. Ayurveda is "the science/wisdom of life," so nothing is excluded. With that being said, when we get into some specific conversations - especially around nutrition and supplements - the needs of dogs are different from the needs of cats, so that will be noted and therefore less applicable. DO I NEED ANY EXPERIENCE WITH AYURVEDA TO TAKE THIS COURSE? DO I EVEN NEED TO KNOW WHAT IT IS AT ALL? No experience or knowledge of Ayurveda - or any of the related teachings like meditation or yoga - is needed to relate to and fully understand this course. We'll take it from the top and lay a complete foundation of the principles before moving into more detail. Additional references will also be suggested for further studies, if desired. WHAT IF I CAN'T MAKE ALL THE SESSIONS? OR, ACTUALLY, ANY OF THEM? Not to worry, every class in the series will be recorded, in both audio and video, and will be sent to all registrants of the course shortly after it's completed.